Yo Ho Ho!! Happy Birthday to my favorite little Pirate! This was a card from a while back that got lost on my camera! 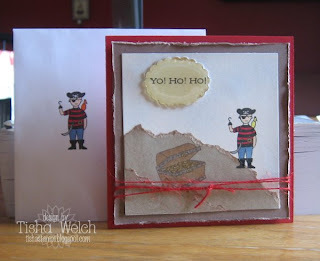 Our friend Addy had a Pirate birthday party a few weeks ago, and of course I had to make him a pirate card with the awesome A Muse pirate stamps! Stamps: A Muse Captain Jack, Treasure Chest, Yo! Ho! Ho! 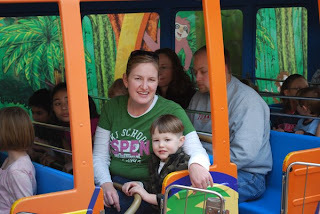 Me and Parker on the flying bus ride! 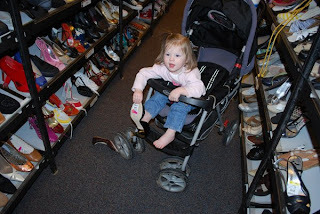 Lily really enjoyed trying on shoes at the Nordstrom Rack! I was looking at the Uggs again - when it is 10 degrees outside, fuzzy shoes look more and more appealing! 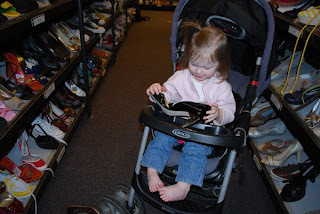 - and I turned around and Lily had a black patent leather shoe with a shiny gold heel on her foot! 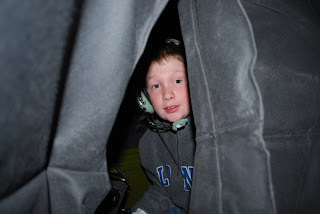 Henry got to do this cool flight simulator thing at the MOA. He got briefed on his mission, then he got in the plane and flew for 30 minutes! 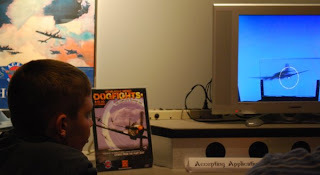 He loved it and is already begging to go back! Thanks for sticking with me with this photo heavy post! I am a bit beat after working a night shift last night, so I apologize if none of this makes much sense! Take care and have a great Thursday! P.S. 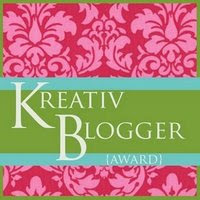 Be sure to check out the A Muse News Blog tomorrow - there may be a little something from me! All stamps, paper and twinkle stickers by A Muse, ribbon by Martha Stewart. 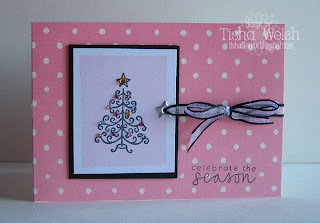 A super quick and easy card featuring the A Muse Big Block Stamp, one of my faves! Just a little pink square, and the flourish tree and some bling!! When I was in Seattle last month, Julie tried to teach me (and the rest of the A Muse team) how to tie a bow ... I think I need to practice more! 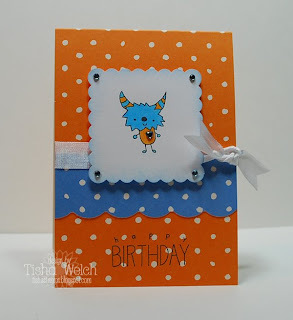 This card also works for Glenda's Random A Musing challenge for this week, and the A Muse Addicts weekly challenge! Won't you come play along? I am going to tag some of the newest members of the A Muse Instructor Team! 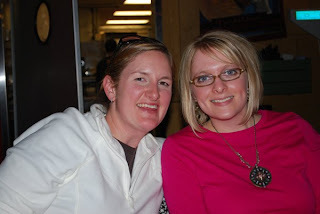 Check out these creative gals, and get yourselves out to one of their classes! All stamps, papers, twinkle stickers and ribbon by A Muse.